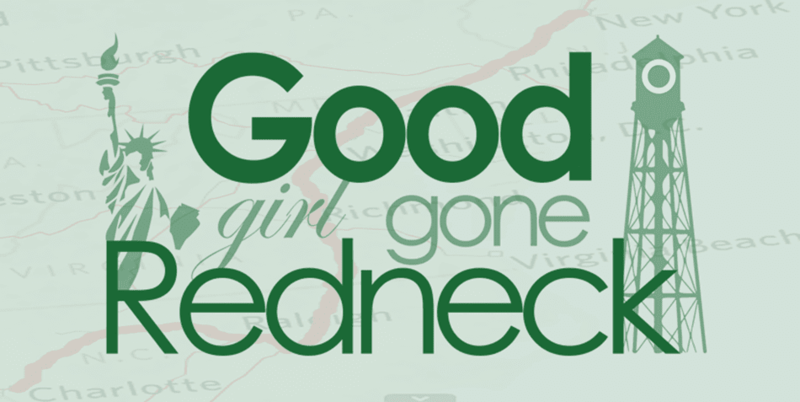 Good Girl Gone Redneck: Five Books You Should Be Reading Right Now. Five Books You Should Be Reading Right Now. I've been on a reading tear of late. I basically dive from one book to the next and can't seem to pause in between them. But that's because I've got so many amazing books waiting for me I just don't want to waste any time at all on empty chatter! I present to you several of the most recent books I've read and tell you why you, too, must read them. I finished this today. I didn't want to. I knew something was going to make me cranky at the end. I just felt it coming. Kubica did it. She pulled me in and made me feel loads of things and then made me feel loads of other things. And I can't tell you anything else. Except that you should read it. Really. It's a mystery you didn't know was a mystery. A psychological thriller that you can't put down. Or just simply won't put down. I love how the story fluctuated between the perspectives of different characters. I love the point in the book when the title makes complete sense. You know that point? When suddenly you think ... ohhhh. That point. You know what? On second thought - don't read it yet - make sure you have the time to do so. Maybe wait for a long holiday weekend? Carve out some time. You'll be glad you did. I devoured this book in one day. That should be all I need to say, but I'll tell you some more. The husband has a secret. Did you know that already? And DANG, it's big. Once I got to the reveal of the secret I was like OH MY G-D THIS BOOK!!!! And then I kept on reading. I stayed up late to read it. It was really really really good. The intense ways that the characters connected, their stories overlapping to the simplest things, like what was playing on TV in the background. The story was so well written. I actually can't stop thinking about it. I'm playing it over and over again in my head. I definitely need to get my hands on the rest of Morarity's books. Immediately. As if I don't have enough to read. But still. I do. You probably should, too. Don't blink. Before I Go will knock the wind out of you within moments if you do. Or even if you don't. Because Oakley absolutely knows how to write emotion. 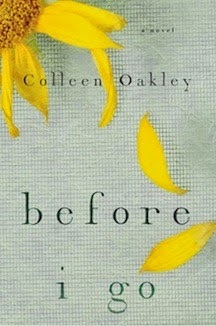 Before I Go is a whirlwind of a story focused on a wife (Daisy) and her husband as they face a new battle. Along the way they find themselves distant, hurting, emotional and raw. The journey to the end of this novel is a tough one, and I admittedly wrapped up my reading with tears in my eyes. But just the same - it's well worth the read. I kind of want a sequel, even. Because I need to see the next chapters. But I can't tell you anything else. Or I could. But I won't. 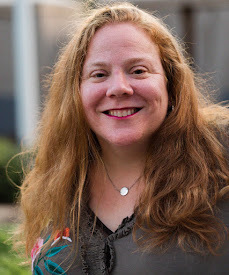 Rainbow Rowell is one of my new favorite authors. This is the third of her books I've read and I have enjoyed them all. We see much of this story through Lincoln's eyes - and Rowell shares the rest of it as he (Lincoln) sees it through Jennifer and Beth's conversations with one another through their company's email. I could absolutely relate to these people. Maybe it's because I graduated from college and clearly remember the way my life was when working in an office building in NYC? 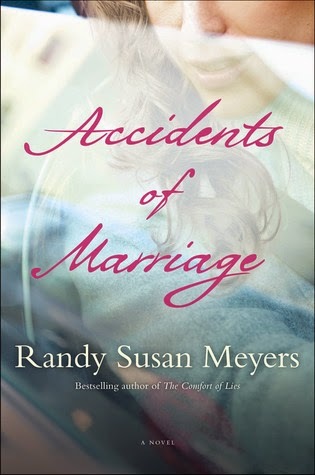 Or I could immediately picture the interoffice connections, friendships, possibilities of romance? No matter what made me relate it worked. 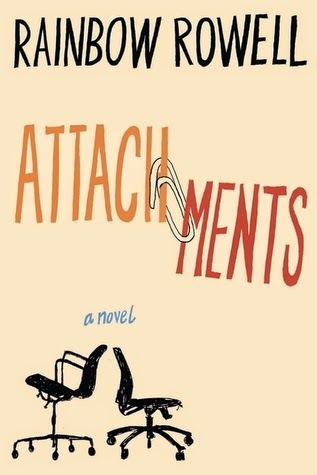 Attachments was entertaining and fun. And if you haven't read Rainbow Rowell yet? What are you waiting for? Maddy and Ben have a tumultuous marriage. He's irritable. He snaps a lot. We pretty much hate him right away for how he talks to her. Honestly, he's lucky we give him a chance. His recklessness impacts their family beyond what words can describe. His guilt isn't enough. We're not happy with the emotions he suddenly shows. It's too little too late. Poor Maddy. Her life is upside down. It's not going to get much better. We want so much for her. For her kids. We hope. We share her dreams and her emotions. There's so much to say about this book, and I know you could look up a lot of information about it to find out more, but there's so much I think that should be left unsaid for you - the reader - to unravel as you read. There you have it. Five books you need to get your hands on for some amazing reading. None of these books were sponsored. I bought them with my own money and recommend them wholeheartedly. I hope you like my suggestions. And be sure to comment and let me know what you're reading these days and why I should pick up a copy for myself. Thanks for popping by and happy reading! Thanks for this. I am an avid reader and have been looking for something good to read lately. These all look like great options. 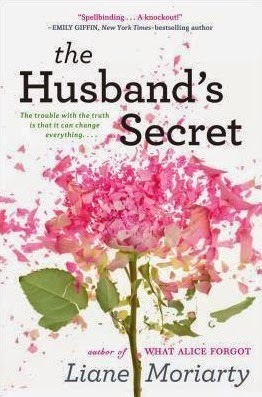 I think I'm going to start with "The Husband's Secret". Great list. I've been looking for a few "porch" books. I love to sit on my porch and read. 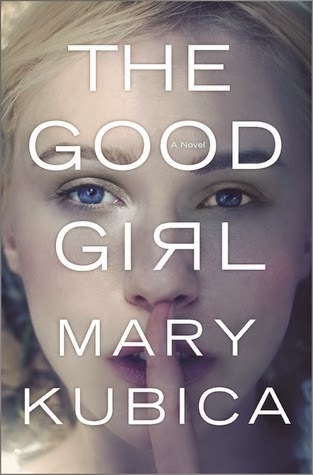 I am definitely adding The Good Girl and Attachments to my list as I wasn't sure what to read next. So thank you! !